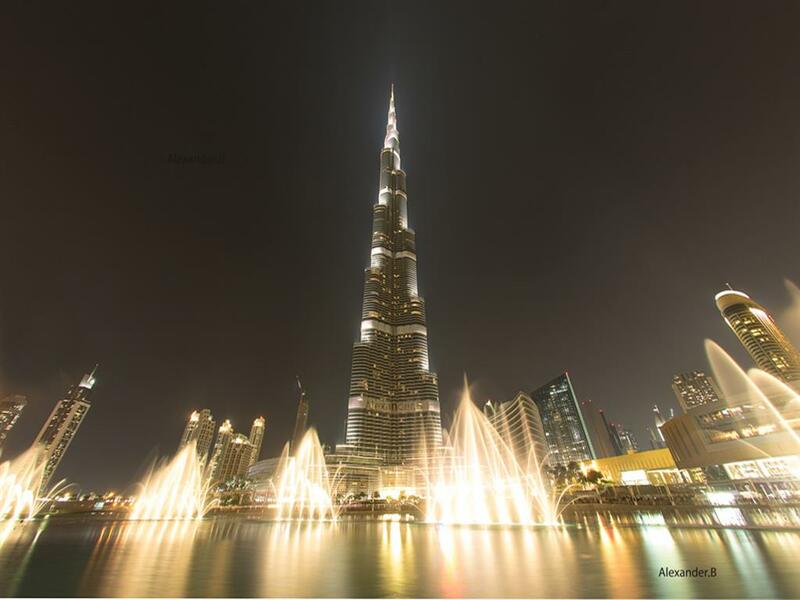 Burj Khalifa is not only popular for its height but also for alluring Fountain show on Burj Khalifa Lake. This lake is spreads in approximate 30-acre and fountain is set on it. 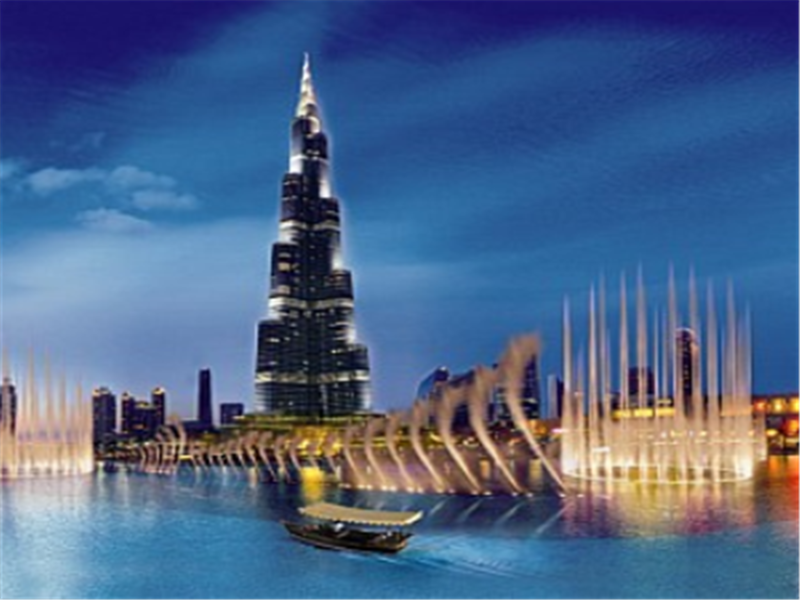 The fountain is 900 ft (275 meters) long and has five circles of varying sizes and two central arcs. 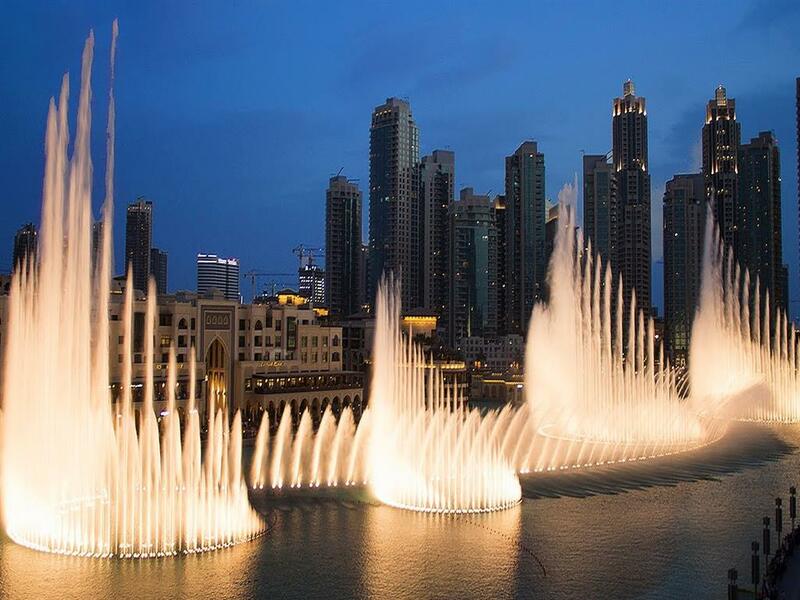 The fountain shoots water jets very high approximate 150 meter in the sky equivalent to a building of 50 stories. Over 6,600 WET Superlight of different colors make a spectrum of water jets. 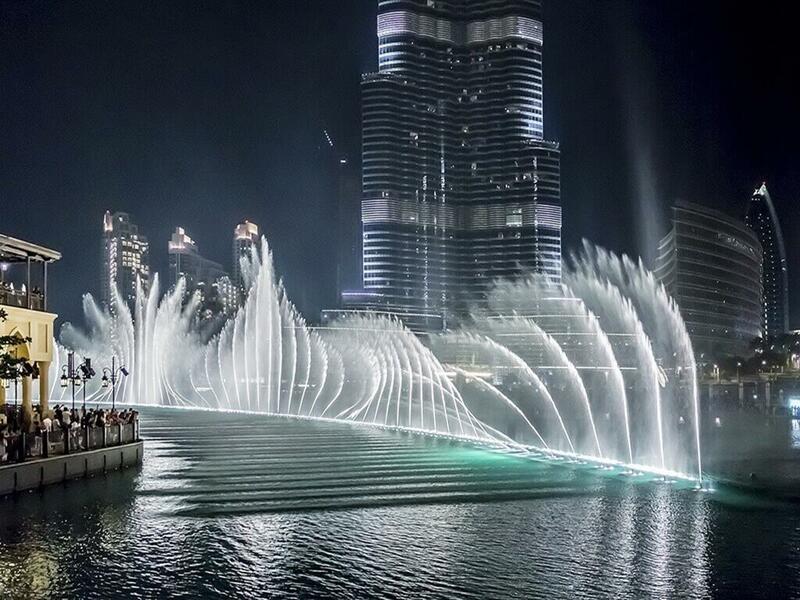 Water jets dance with the rhythm of music. Beams of light can be seen from a large distance. Days of Operation : Daily.